Video of the three top men at the finishline! The three top men at the finishline of the TriStar111 Monaco 2011 and their interviews after this brilliant race! Johanna Daumas takes the victory in TriStar111 Monaco 2011! 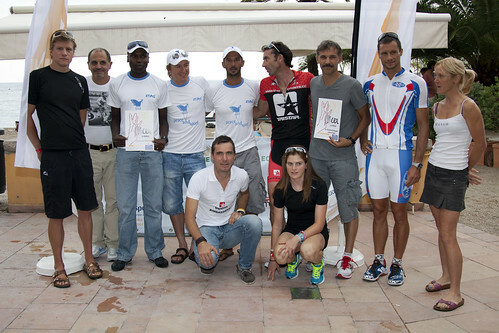 Johanna Daumas just wins TriStar111 Monaco 2011! Eimear Mullan came second and the swiss athlete Barbara Bracher finished third. 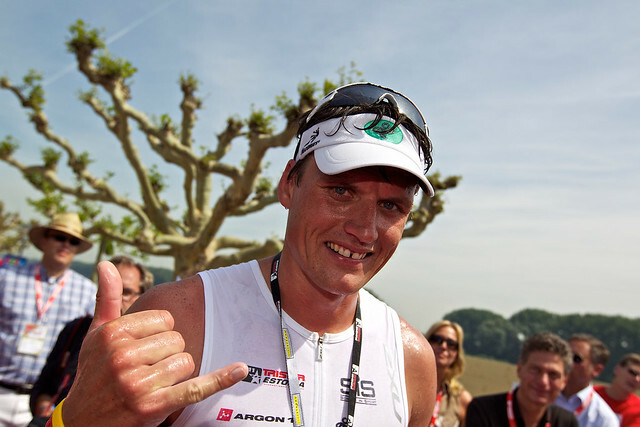 Johannes Moldan wins TriStar111 Monaco 2011! After a fantastic run against Von Berg, Johannes Moldan just won the second TriStar111 Monaco ! Rodolphe Von Berg finished second and Karl Shaw came third. The Run will choose a winner! Johannes Moldan or Rodolphe Von Berg? 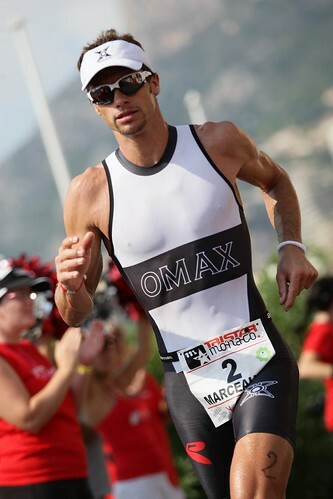 10km to get the victory here at TriStar111 Monaco! Julien Pousson came third after the Transition 2. Olivier Marceau is more than 10 minutes behind! In the Relay race, the Stars and Bars Team get close to the victory with 8 minutes on the Panaceo Team and 10 minutes and the Chrono Interim Team. The run will take you on 2 loops of 5km through Monaco, including the famous Tunnel known from Formula 1, the harbor, the gardens of the Casino and the hairpin bends… The entire run course is open to supporters! You'll love it! La course à pied emmènera les participants sur deux boucles et demi à travers Monaco et le célèbre circuit de Formule 1 avec le fameux Tunnel, le Port, les jardins du Casino, ... Le circuit entier est ouvert aux supporters, vous allez Adorer !! 1 Stars and Bars (Richie Porte, Baden Cooke and Nick Gates) Go hard is their motto! 3ª Relay: Panaceo (Marcus Roth, Bernhard Eisel and Paco Wrolich), and their motto is "be part of it! After 50km, the german Johannes Moldan is leading the race. 40 seconds behind, we can find a small group with Olivier Marceau, Karl Shaw, Romain Cadière and 2 others athlètes. In the women race, Johanna Daumas is still leading. The bike is changing everything. Now German Johannes Moldan is now leading the bike, and Marceau is second in a six-member 'group' in the same minute. French Johanna Daumas is the first women ridding! Happy Birthday Denis and Franck!!! Today it's Denis TAMAGNO's and Franck NOTERMAN's birthday! Both of them are French. Tamagno is racing with #409 and turns 52 today. Noterman is racing in a Relay (#R63) and turns 40 today. Bon Anniversaire à Denis TAMAGNO et Franck NOTERMAN ! Ces deux français fêteront respectivement leur 52ème et 40ème anniversaire aujourd'hui. Joyeux Anniversaire à eux ! Lucas Di Grassi and Bruno Senna before the race!
" /> Formula 1 drivers Lucas Di Grassi and Bruno Senna speaks before the start of the TriStar111 Monaco 2011. 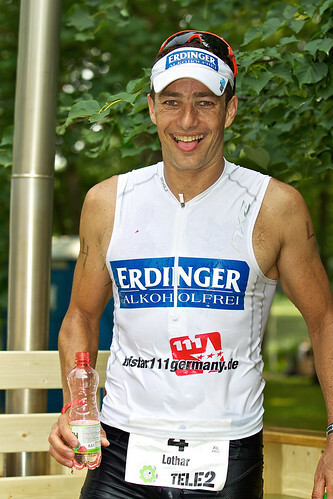 Di Grassi is going to do the bike leg of this triathlon in a Relay Team, and Bruno Senna is racing the whole triathlon! Good luck! Yes, you can! The first out of the water of the TriStar111 Monaco was british Karl Show. Amazing Catherin Jameson, was second overall after the swiming. Only one man beat her!!! 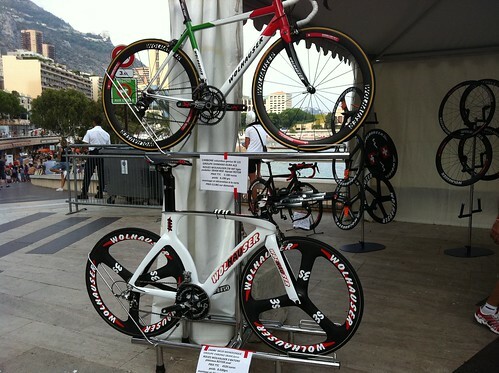 Start of the TriStar111 Monaco 2011 individuals. Here we go!!! Belgian Coralie Lemaire speaks TriStar during the official Press Conference! 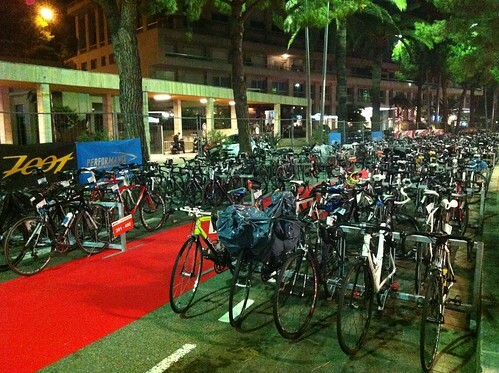 Individual race of TriStar111 Monaco 2011 is about to start just in 10 minutes!!! Almost 1000 triathletes will compete in this new Triathlon format focused on fun, environmental protection and social responsibility. 21 professionals will be swimming 1km, cycling 100km and running 10km and trying to win today's race. 206 teams of 3 will start 15 minutes after the individual athletes, and we'll find out at the Finishline if the teams will manage to make up the difference. TriStar111 Monaco est sur le point de commencer ! Encore 10 minutes avant de voir près de 1000 triathlètes prendre le départ de ce nouveau format de triathlon orienté sur le plaisir, la protection de l'environnement et la responsabilité sociale. 21 athlètes professionnels nageront 1km, rouleront 100km et courront 10km pour remporter la victoire. 77 équipes de 3 athlètes mettront les voiles 15 minutes après les athlètes individuels, et nous découvrirons sur la ligne d'arrivée si les meilleurs équipes auront réussi à refaire leur retard sur les individuels.
" 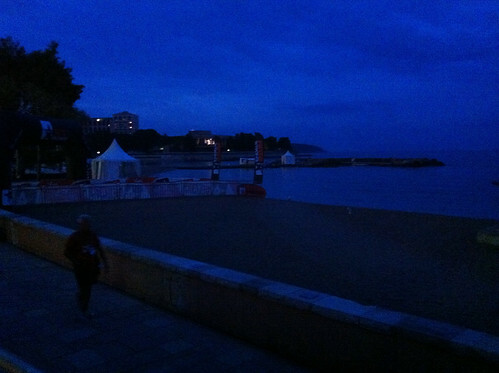 /> Laurent Urban, TriStar Monaco event manager gives you the welcome to the second edition of this race! Yes, you can! Paul Belmondo is racing TriStar!
" /> Famous actor Paul Belmondo is ready to participate on TriStar111 Monaco. Yes, you can!!! 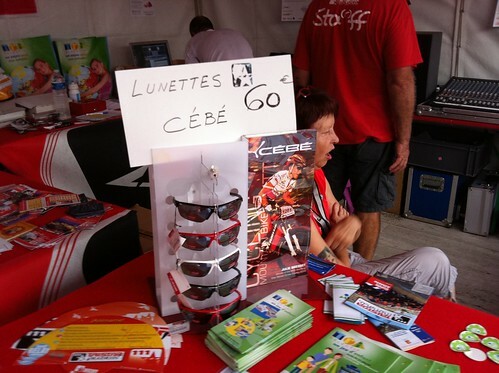 Star Events: Special offer in Goggles! 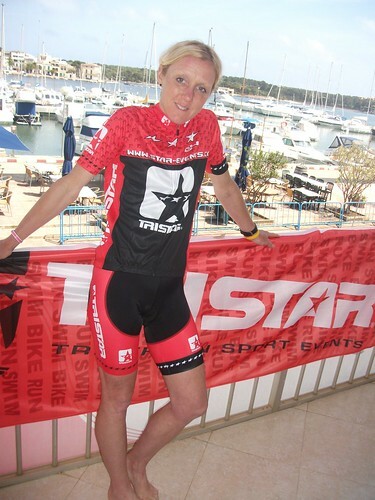 Eimear Mullan is an Irish athlete who won the inaugural edition of the TriStar111 Mallorca this year. And it was her first triathlon race ever!!! "On the day I arrived I had quite a strange and random experience. I was checking out San Salvador which is the climb on the bike course and I saw a group of cyclists with a van so decided to ask them if they had a pump. They said they would pump my tyres if I would be part of their photo shoot. I actually thought they were joking. I agreed and was handed some lovely clothing and a bike and was told to cycle up and down the hill while they shot photos with me and some Professional German cyclists. One of the cyclists in the shoot was Marcell Wust, ex world champion cyclist! A very random afternoon. Then Tristar 111, my first race as a pro! I was quite excited about racing especially with the thought that I was standing on the start line with some great legends of the sport (the male pro field was amazing). In the swim I remained calm and stayed steady. Then on the bike I pushed a reasonable pace and enjoyed the big climb going steady up it the first time and pushing a little more second time round. As I was cycling I could see Tamsin at the turn points I was able to judge roughly how far in front of me she was. I started to get excited when I realised that I was closing the gap a little at a time! Coming in to transition and I could see Tamisn leaving, so I tried not to get too excited. My legs felt ok for the first 500m and after that they started to feel the work on the bike but I just told myself to stay steady and not go too hard. The gap was closing and when I passed Tamsin just after the first turn point I just told myself to keep running at the same pace and stay steady. The there it is. I won my first race as a Pro athlete! Amazing, I couldn’t believe it. 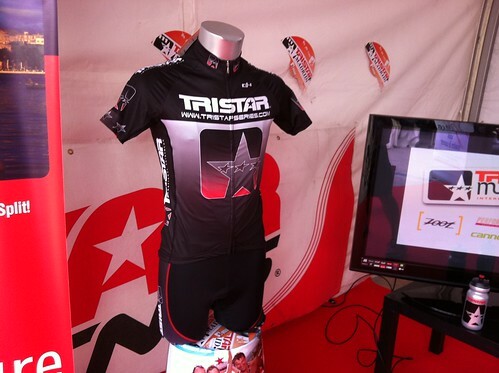 Tristar was a great experience and I’m looking forward to doing some more of their races in the future. Looks like I really was enjoying that climb!!" Wilson Kipketer races TriStar Monaco as a member of a Relay! TriStar goes to... Deauville and Berlin in 2012!!! 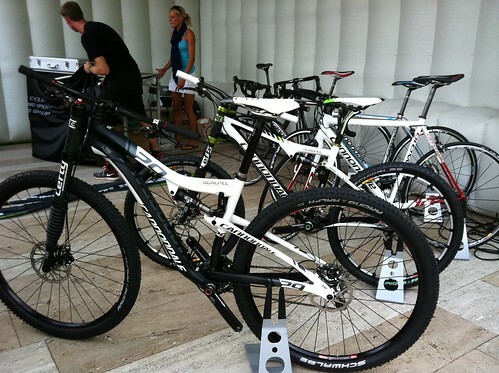 Also, he won this year in the inaugural TriStar111 Mallorca, beating Chris McCormack and Marcel Zamora... wow!!! Coralie has started triathlon at the age of 30, although she was always active in various sports. She eventually discovered her passion for running, which then brought her to cross-country running and triathlon. She loves the variety of the sport, and if you ask her to decide which is her favourite discipline, she'll answer that it's cycling - not because she really prefers cycling over swimming and running, but because she likes the fact that she can enjoy landscapes and discuss with friends while cycling. Coralie is amazed by Monaco and likes it a lot! Good luck to one of the official TriStar Ambassadors!!! 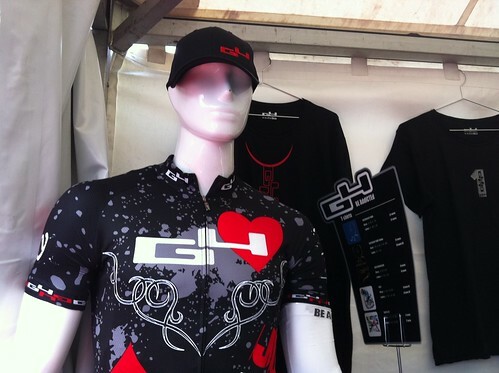 In our stand you could find our new cycling gear!!! 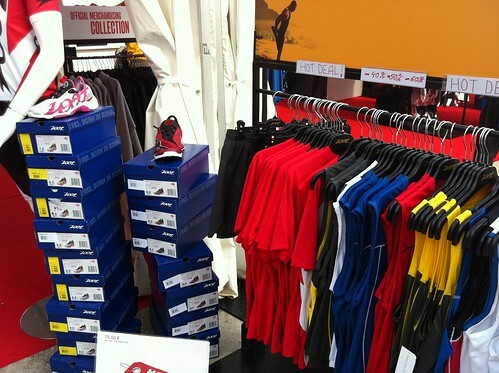 This is part of the official TriStar wear. Do you like it? We love it!!! 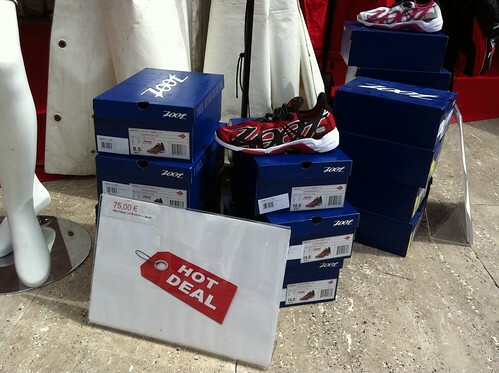 Enjoy our offers in the Star&Co Village, opened since this morning. You could visit us from 09:00 to 18:00. 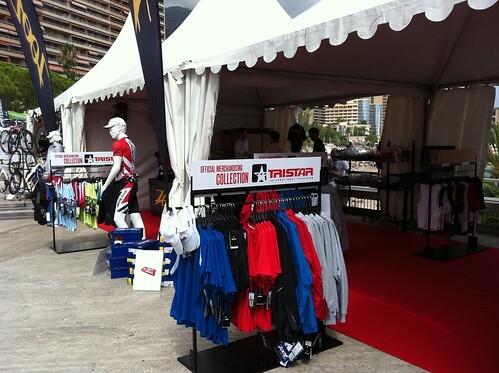 Some photos of the Star&Co Village, don't miss thw oportunity to get our official merchandise!!! 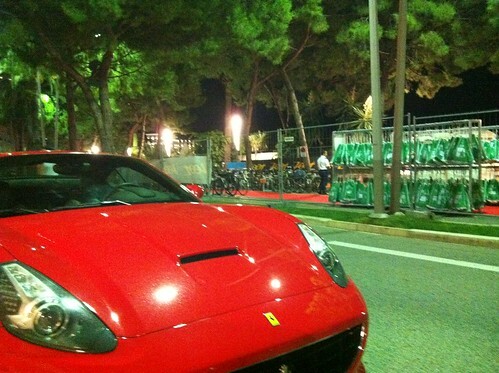 TriStar111 Monaco 2011 is ready for the action!! !